North Kerala includes the districts of Kozhikode, Wayanad, Kannur and Kasaragod. Malabar is a commonly used name for these areas, although Malabar in true count is a larger chunk extending further up and down. 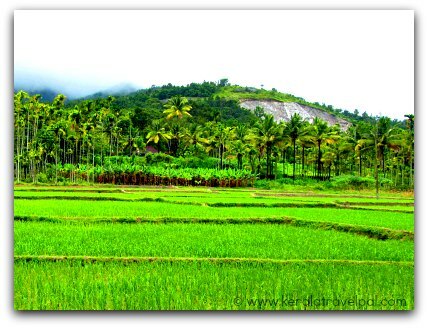 If you have been to Kerala before and want to travel off the beaten paths, it is time to look seriously at the North. Plan properly, because North Kerala in general is not as tourism oriented as the South. By doing your research in advance and isolating the best places to see and stay, you can have a great time up North. For Kozhikode, history is rich and so is local food. Looking at a town which appears nothing more than ordinary, it is hard to picture such ancient glory. To the core, Kozhikode is a trader’s place. 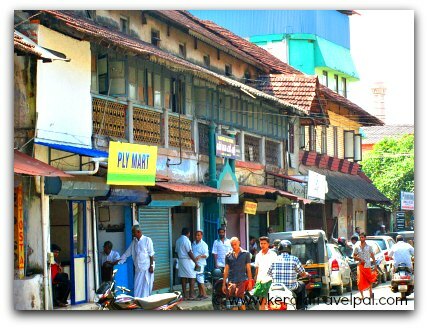 The main market, Valiyangadi, has a history of 600 years. That is only the tip. And the iceberg, submerged in oblivion, is a tradition of sea trade of thousands of years. Do you know that Phoenicians, Arabs, Chinese and even King Solomon traded with the ancient kingdom of Kozhikode? If seeing is believing, get to Beypore, a seaside village where an umpteenth generation of skilled workers toil in the daily grind of manual ship making. Machines are a big no, and with bare hands they bring to existence large Arabian ships known as Urus. 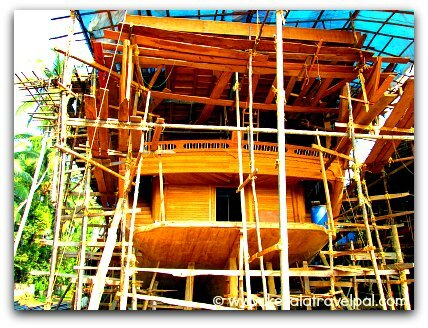 Beypore ship building has lasted thousands of years. While ship making caters to curiosity, remember, there is a fine beach at Beypore too. If seeing is believing, what about tasting? The culinary delights of Kozhikode are simply good at overpowering our tastebuds. The recent Malayalam movie “Usthad Hotel” is quite insightful about Kozhikode, in narrating what happens when heart goes into cooking. Although there are tourist spots such as Sweat Meat Street (SM Street), Mananchira, Valiyangadi, Mishkal Masjid, Kozhikode beach, Pazhassi Museum, Planetarium and Science lab in town, you are better off in leaving town early to explore the wider district. Beypore beach and Uru building yard, Tali Temple, Thusharagiri waterfalls, Kappad beach, Canoli canal, Elathur canal, Korappuzha River, Kallai, Lokanarkavu Bhagavati Temple, Peruvannamuzhi Dam and Kakkayam are tourist spots remote from Kozhikode town. I am on a search for adjectives. Or do I need any? Simply stated, Wayanad defies descriptions. North Kerala visit without Wayanad, misses the beat, even for those who are convinced that they had a great time elsewhere in North Kerala. 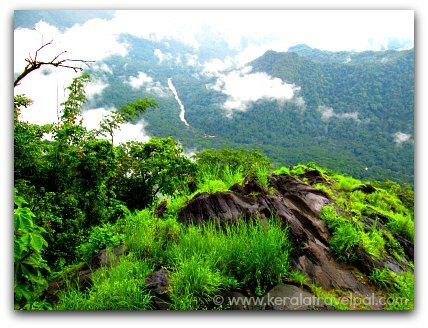 Wayanad district, a mega hill station throughout, is a great venue for nonstop sightseeing. Waterfalls, lakes, shrines, sanctuaries.... you name it, Wayanad has it. Of course, beaches are missing, and that get more than compensated for in the neighbouring district of Kannur, where God has bestowed some of the best beaches of his own country. Lakkidi, Vythiri, Chembra, Banasura Sagar Dam, Meenmutty, Soochippara, Kanthenpara and Chethalayam waterfalls, Meppadi to soochippara scenic drive, Muthanga wildlife sanctuary, Tholpetty wildlife sanctuary, Pakshipathalam, Kuruva Island, Pookode Lake, Neelimala View Point, Sunrise Valley, Karalad Lake, Edakkal Cave, Tirunelli temple, Allikkunnu Church, Korome Mosque, Thrissilery Shiva Temple, Valliyoorkav Bhagavathi Temple, Seetha Lava-Kusha Temple, Paingatteri Agraharam, Chain Tree, Wayanad Heritage Museum, Muniyara, Uravu, Pazhassi Raja's Tomb, RARS, E3 Theme Park, Phantom Rock and Boys town.....sorry, I did not mean to overwhelm you, the list of tourist attractions in Wayanad does add up significantly. Memorable for beaches, Kannur has plenty more up the sleeve. If you are planning to stay in Kannur town, avoid the crowded mid city, an unpleasant experience. The outskirts are more spaced out and hence better. Kannur city has a few attractions, may take half a day max to cover all. Fort of St. Angelo (Kannur fort), Mappila bay, Arakkal Museum are conveniently located in the city outskirts, within easy riding distances. CVN Kalari in Kannur town is one of the best places in Kerala to experience Kalarippayattu, in its authentic form. Kalarippayattu is an age old martial art, way back from the Vedic times. Payyambalam, the mainstream beach of Kannur, is a bit disappointing nowadays. A classic case of tussle between two govt departments has put the development of a beach of great potential in a state of limbo. If you are looking for a hideaway place, blissful beyond belief, check Ezhara beach, part of Kizhunna Ezhara belt. The beaches of Kizhunna, Kadalai, Thottada, Meenkunnu and Chala are all marvels, lined up along the same shore. Beach talk is incomplete without Muzhappilangad, the drive-in-beach. Created by nature with firm sands, Muzhappilngad, alone attracts many visitors to Kannur, die hard driving fans included. In Kannur, Muthappan is almost a household name. We see that name on buses, auto-rickshaws, shops...pretty much everywhere. Muthappan is the deity of North Kerala, and even more so for Kannur. 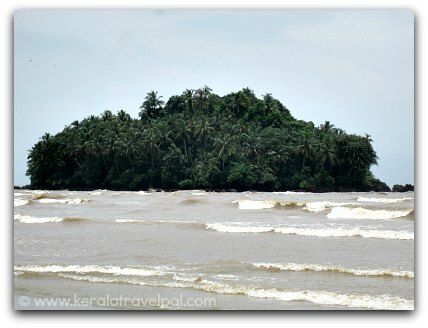 The main Muthappan Temple (called Madappura) is at Parassinikkadavu, about 16 kms from Kannur. Everyone is welcome, caste and creed not bars. It is a must visit place for those who are interested in culture and religion. At Parassinikkadavu, there is a Snake Park, backwaters and one of the largest Amusement Parks in North Kerala (Vismaya Park). Far away locations in Kannur District are Aralam Wildlife Sanctuary, Central State Farm, Pythal Mala, Kottiyoor and Ezhimala beach. With varied landscapes and stunning backwaters, Kasaragod is blessed. One of the prettiest places in Kerala is its northernmost corridor. Kerala being a mega feast for eyes, very few ventures to reach all that far up. 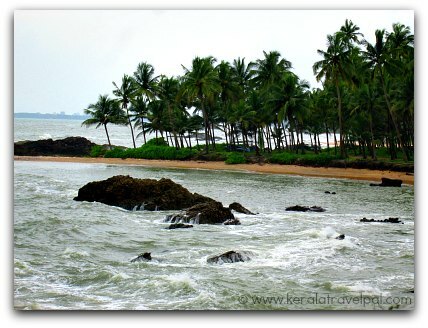 That is changing, as travel folks are discovering two standout locations – Bekal and backwaters. Bekal attracts most of the visitors to the district. Bekal has a fort, beach, and more importantly, a touch of class. Valiyaparamba Backwaters has come up as a northern alternative to Alappuzha and Kuttanad waters. Scenic charm alone is winning universal appeal. 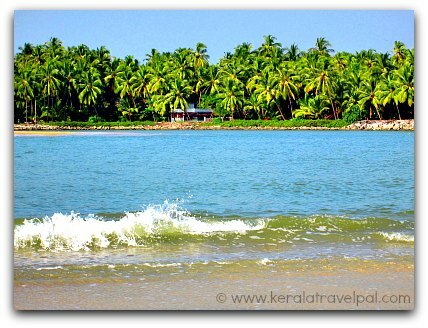 Kappil is the local answer to a secluded and heavenly beach. And conveniently, Kappil is only 6 kms from Bekal. Kanwatheertha beach, Kareem Park, Ananthapura Lake Temple, Mallikarjuna Temple, Pallikkare beach, Ranipuram, Chandragiri Fort, Anandashramam, Nithyanandashramam, Madhur Ganapathy Temple, Palakunnu Bhagavathi temple, Mallam Temple, Mallik Deenar Mosque, Bela Church, Kottancheri Hills, Hosdurg fort, Ammadam Kavu and Kottappuram are the other notable tourist attractions in the district.